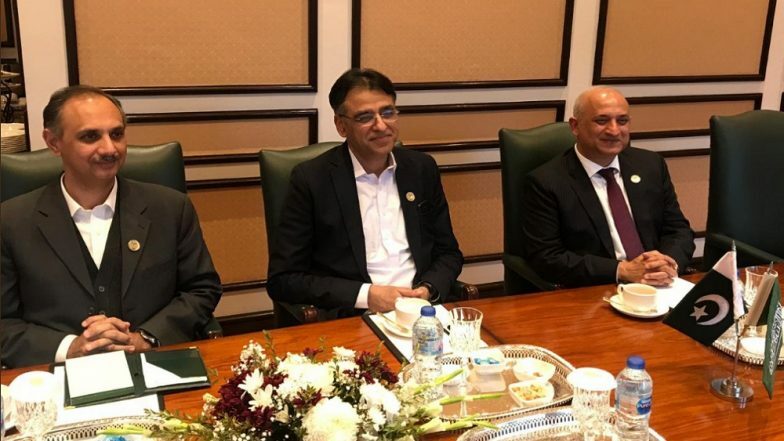 Toronto, April 4: Pakistan’s Finance Minister Asad Umar seems to be sending out a message to internal actors as well as external as he bluntly stated that Pakistan’s basic debts are so big that the country is staring at bankruptcy. Umar was speaking during an interaction on social media platform Twitter, when he explained the reason that Pakistan has had to ask ‘friendly nations’ for financial assistance as well as engaging the International Monetary Fund in talks for a bailout package. Pakistan is reportedly negotiating a bailout package anywhere between US $8-12 billion from the IMF, its largest ever. “You are going to the IMF with these massive debts in the toe for a bailout. We have had to fill big gaps” the minister was quoted as saying by Pakistan media. Even as Umar was candid about the state of Pakistan’s coffers, the economy reported a slow down with economic growth expected to be 3.9% in the fiscal year 2019 from 5.2 per cent in 2018, the Asian Development Bank forecast on Wednesday. The ADB cited "macroeconomic challenges" facing cash-strapped Pakistan as the reason for this projection. Pakistan is facing a Current Account crisis as its imports far exceed its exports and its foreign reserves are dangerously depleted. This led Imran Khan to ask for loans from Saudi Arabia, China and the UAE which have extended loans totalling upto US $ 10 billion. Umar defended this move saying, “The external loan taken by the PTI government in 9 months from July-March is 1/3rd of the loan taken by PMLN in same period last year”, he said and added "when you see us hit the 12 month mark of our government, it is my prediction that you will see a $6-7 billion decrease in our Current Account Deficit."